Background/Info: It took four years for Schwarzblut to achieve this new album, which is the fourth one in history. Hailing from The Netherlands they always have shown a particular approach mixing ethereal elements with dark-electronics. 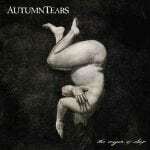 The title of this album is taken from German mythology, which remains one of the band’s favorite themes. Content: The influences haven’t really changed, but the format became different. I’m used to hearing albums where ethereal- and dark-electro songs are alternating. “Idisi” sounds as the ultimate fusion between both styles. They found the key to bring heavenly voices, neo-classic arrangements and dark-electronics together. I think we now can speak about industrial-ethereal music. The female voices -sung by Angèlika and featuring Helium Nova’s singer Hannah Wagner on two songs, are once more joined by Gijs’ male growls. Here again the band confirms certain duality, which in the end results in a true symbiosis. The vocals have been sung in different languages like Latin, German and even Old Dutch. Songs are refined and feature orchestral, bombastic arrangements. The bonus disc reveals a few extra songs, which are more cinematographic-like, but also revealing fascinating ritual- and mystic passages. There’re also remixes by Zeon, Heliophile and Carsten Altena. 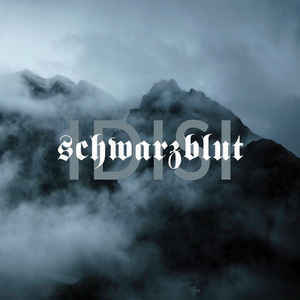 + + + : “Ididi” is without a shadow of a doubt Schwarzblut’s masterpiece. 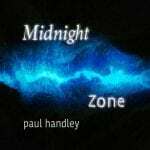 The band always has revealed a great inspiration and a creative music format, but I sometimes got the feeling to hear two bands crossing each other on the same album. “Idisi” stands for a perfect harmony between somewhat opposite styles. This harmony is original, refreshing and totally efficient. This album reveals a great writing process alternating subtle sound treatments and heavier, orchestral arrangements. The bonus disc reveals a somewhat different side, which sees the band experimenting with soundtrack-driven compositions. And here again they simply excel in eclecticism and artistic approach. Last, but not least I’ve to say a word about the female vocals, which are once again angelic, sensual and transcendental. – – – : This album is an absolute masterpiece so it’s hard to find any single minus point here. The remixes aren’t my favorite cuts, but you don’t hear me to complain. Let’s say that Schwarzblut remains a particular experience in sound you gone like or not… but I love this work. Conclusion: In times where too many bands and records are sounding the same there’s Schwarzblut. This band has their own sound DNA, which stands for artistic passion, intelligent music and ditto lyrics. Best songs: “Die Zeit Geht Nicht”, “Lied Der Freiheit MMXVIII”, “Palästinalied feat. Hannah Wagner”, “Ghequetst” + “Meditation Auf Seefahrt”, “Meditation Auf Schmetterlinge”, “Meditation Auf Dornen”.